If you love a dancer (I do!) then you know well that passion and love that goes into everything they do. My daughter has loved dance she was very little, and I have no idea where she gets her talent, but I feed it and support it as much as I can. 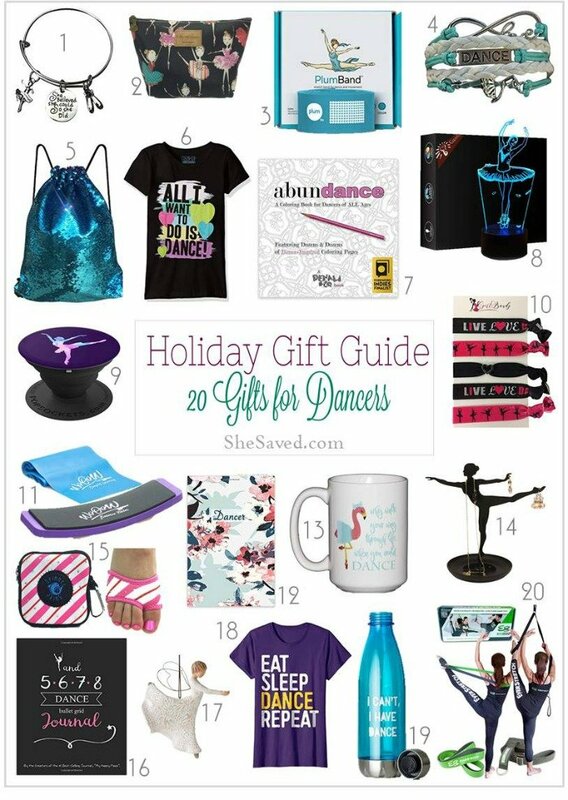 In this round up of Gift Ideas for Dancers, I’ve included everything from practical gift items to fun trinkets that will let your dancer know that you love her love for all things dance. I’ve actually come to realize that there are many products out there to help my daughter improve her dance skills and this year the Spinner Skins Dance Soles, the EverStretch Stretcher and the Plumband Ballet Stretch Band are all on her list, so I’ll most likely be getting her one of those. If it’s something that can actually help her, that makes it an even better gift idea in my opinion!